The Greater Chattanooga housing market continues to show strength as we edge into what is arguably the busiest time of year for buyers and sellers. New residential real estate has been relatively slow in the first quarter of 2018, yet housing is resilient in a consistently improving economy. New listings in the Chattanooga region decreased 5.4 percent to 1,184. Pending sales were up 13.3 percent to 2,282 units. Prices continued to gain traction. The median sales price increased 8.9 percent to $188,150. Days on market was down 22.9 percent to 54 days. Sellers were encouraged as months supply of inventory was down 30.0 percent to 2.8 months. The Federal Reserve raised its key short-term interest rate by .25 percent in March, citing concerns about inflation. This is the sixth rate increase by the Fed since December 2015, and at least two more rate increases are expected this year. Borrowing money will be more expensive, particularly for home equity loans, credit cards and adjustable rate mortgages, but rising wages and a low national unemployment rate that has been at 4.1 percent for five consecutive months would seem to indicate we’re prepared for this. And although mortgage rates have risen to their highest point in four years, they’ve been quite low for several years. 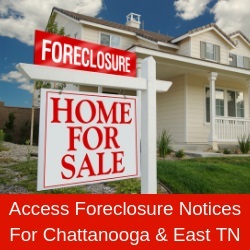 Much of the nation – Greater Chattanooga included – continues to experience lower inventories of homes for sale. With inventory decreasing, it’s increasingly important to have a Realtor by your side. Realtors have expanded search power with access to homes not listed on the search sites. Make your first decision in the home buying or selling process the correct one: contact a Realtor. Greater Chattanooga Open House Weekend (April 21-22) is here. Buyers are anxious for more inventory in the local market, so if you’re considering buying or selling, I encourage you to contact a Realtor today.